Made by Melanie: When best laid plans go belly up! 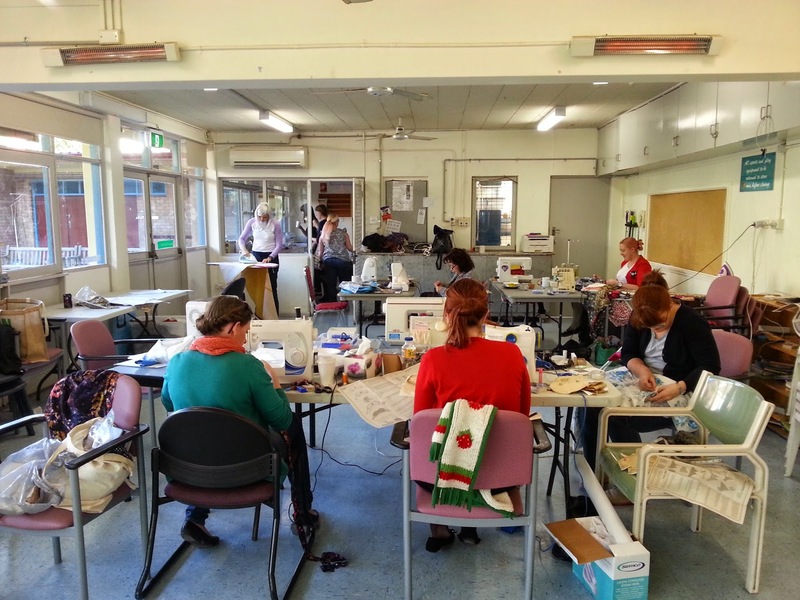 A few Saturdays ago a handful of the Sydney Spoolettes got together for a sewing day at a community hall in Erskinville (thanks to Bohdana for arranging this)! For the day I decided to whip up my dress for our upcoming Frocktails shindig that is happening in mid-September. 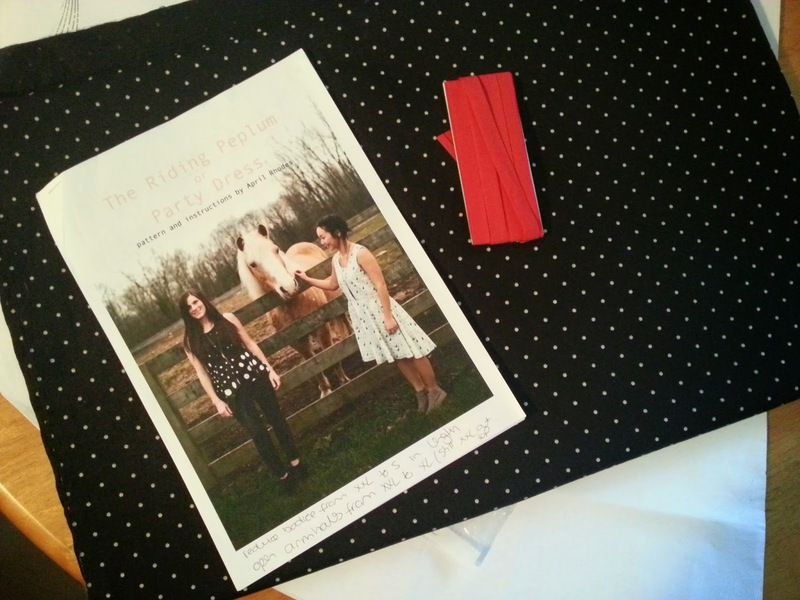 Sadly my dress-making skills, or patience, haven't progressed much beyond the April Rhodes Party Peplum Dress I was sewing this time last year. I reckon I could insert a lap-zipped if push came to shove, but whenever I read about how to install a lining my brain just shuts down. Never fear, the Party Peplum Dress is here! I'd bought two fabrics from Spotlight...both on sale, and both nice enough I think to elevate a basic dress into something a tiny bit more special. Of course the night before the sewing day I was cutting out my fabrics only to realize I didn't have enough fabric to make either of the dresses. GAH! Both of the fabrics were quite narrow (is ALL fabric at Spotlight narrow - is that there thing I wonder?) and I just hadn't bought enough length to compensate for the lack of width. Hmmm...Houston we have a (sewing day) problem! 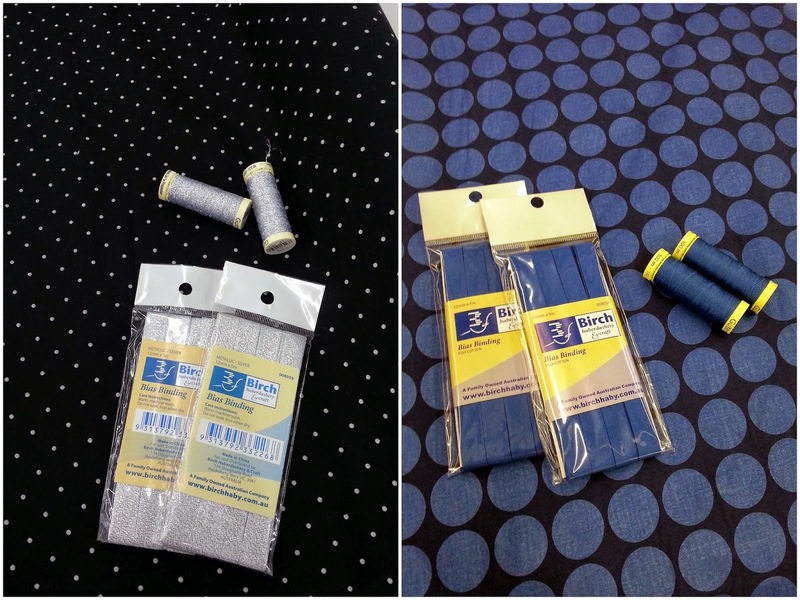 Spoiler alert: luckily when I RACED into Spotlight the following morning they had *just* enough fabric left on both bolts for me to make my dresses so I could finish cutting out my dresses - I just couldn't use it for the sewing day as they'd not be pre-wahsed or dried. I can now totally see the value of having a "fabric stash", albeit a small one. As I dug around in my fabric cupboard I found some cotton bought from My Hung in Parramatta for about $6.60/meter. There was AMPLE for a Party Peplum...and it hindsight it was best to make this dress up again as a toile as I was finally make it in a size smaller than my usual XXL that always turns out too big. 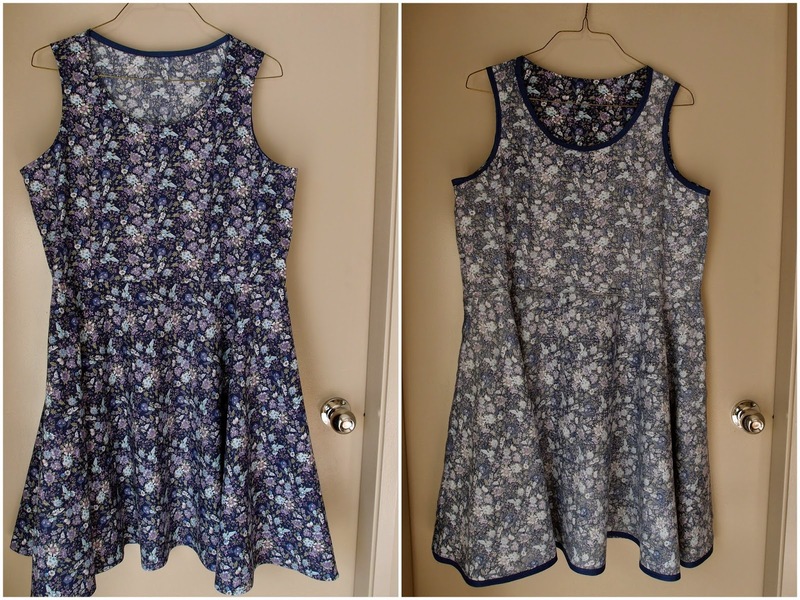 Despite turning up to the sewing day about 2 hours late, and basically talking and eating biscuits for the WHOLE day, I manged to pretty much finish the dress...I just had to do the hem one I go home. I'm glad I made up a toile as, whilst the dress fits in the smaller size, I need some more room under the arms, and the bust darts need to be lowered. AND the best part? As this fabric was so inexpensive I popped up the road to buy more of it to make up the dress again as I think this is going to make a really cute summer dress. My photographer/husband is currently away in Europe (tough life for some) so I'm afraid this is the only photo I have of the dress on my body. One of these I'm going to have the PERFECT Party Peplum Dress...I will! You certainly will have the perfect party peplum dress very, very soon. Well done on getting so much done in the one day, and looks like you are on the way for a perfect bodice for all your dresses. It looks so good and I love the floral fabric! Cute! I'm between houses at the moment and staying with family so trying not to buy too much fabric either - but yes my ideal would be to have an amazing fabric stash too.....one can dream hey? That binding looks fantastic, great work! Really love the big blue spot fabric, looking forward to seeing it made up. Sent you an IG post message on your jetstar pic about thursdee. Looking pretty good so far! And I was totally impressed that your whipped out a whole dress in one session. I still haven't had the time finish my yellow frock yet!